Spectacle. Bruce Magnusson and Zahi Zalloua, editors. Global Re-Visions Series (Seattle: University of Washington Press in association with Whitman College, 2016). Contagion: Health, Fear, Sovereignty. Bruce Magnusson and Zahi Zalloua, editors. Global Re-Visions Series (Seattle: University of Washington Press in association with Whitman College, 2012). “Understanding Democratic Survival and Democratic Failure in Africa: Insights from the Divergent Democratic Experiments in Benin and Congo (Brazzaville). 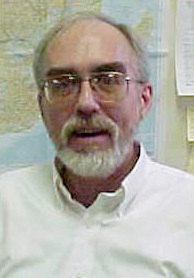 John F. Clark, co-author. Comparative Studies in Society and History, Vol. 47, No. 3 (July 2005). “Democratic Legitimacy in Benin: Institutions and Identity in a Regional Context,” in The Fate of Africa’s Democratic Experiments: Elites and Institutions in Comparative Perspective. Leonardo Villalon and Peter VonDoepp, editors. (Bloomington: Indiana University Press, 2005). "Transnational Flows, Legitimacy, and Syncretic Democracy in Benin," in Constructivist Comparative Politics: Theoretical Issues and Case Studies. Daniel Green, editor. (New York: M.E. Sharpe Publications, 2002). "Democratization and Domestic Insecurity: Navigating the Transition in Benin," in Comparative Politics, Vol. 33, No. 2 (January 2001). "Testing Democracy in Benin: Experiments in Institutional Reform," in State, Conflict, and Democracy in Africa. Richard Joseph, editor. (Boulder: Lynne Rienner, 1999). "Legitimating Democracy in Benin: New Institutions and the Historical Problem of Economic Crisis" in L'Afrique Politique 1996 (Paris: Karthala, 1996). My research agenda addresses questions at the intersections of ethnicity, security, and violence in Africa. The threads I am currently pursuing include, 1) the intellectual and institutional history of ethnic and religious ascription in population censuses in colonial and postcolonial Africa; 2) the vectors of violence characterizing censuses and elections; 3) mapping violence in Africa in the foreign policy imagination. Other areas of research interest include: U.S. - Africa security policy; Globalization and the child soldier. 2012 Abshire Research Scholar Award (with Prof. Zalloua and Genevieve Venable, '12); 2011 Abshire Research Scholar Award (with Prof. Zalloua and Gabriella Friedman, '13). 2010 Fluno Faculty-Student Research Award (with Sara Rasmussen, '12). 2009-10 (with Claire Lueneberg, '10) Adam Dublin Award for the Study of Global Multiculturalism. 2005 Lewis B. Perry Research Award with Laura Hanson ('07): "Census Categories, Ethnicity, and Electoral Institutions in Africa." 2001 Lewis B. Perry Research Award with Anamarie Turlea ('02): "African Legal Institutions and Ethnic Diversity." 1998 Lewis B. Perry Research Award with Sashka Koleva ('99): "Democratization and Inter-Ethnic Accommodation in Bulgaria (Eastern Europe) and Benin (West Africa)." We presented a paper by the same name at the International Studies Association meetings in Washington, DC (February 1999).